Knowing exactly what's going on your roof is crucial, that's why we've created mixed sample boxes to suit all needs. Simply select the colour you're after and we'll do the rest. We'll send 4 different samples of Roof Slate. These samples are ideal for customers who must present a sample of the slate to a local authority in order for it to be approved. Knowing exactly what’s going on your roof is crucial, and it can be difficult to gauge the colour of a roof slate by looking at a few pictures, that’s why we’ve created mixed slate sample boxes to suit all needs. Simply select the colour you’re after and we’ll do the rest. We’ll send 4 different samples of Roof Slate. 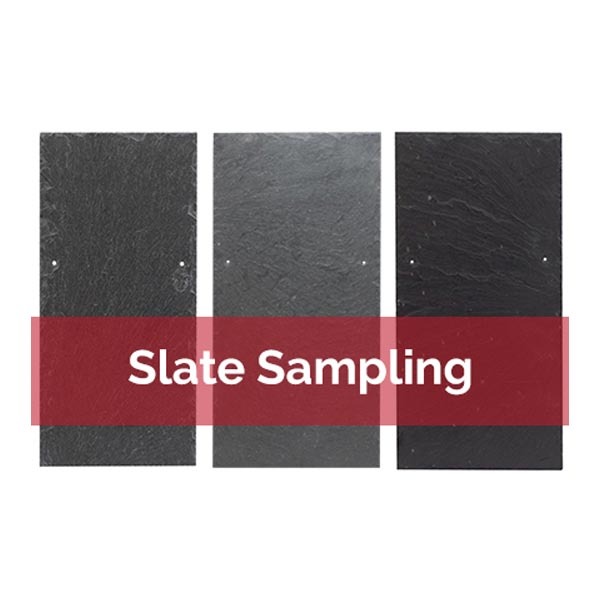 These samples are ideal for customers who must present a sample of the slate to a local authority in order for it to be approved.